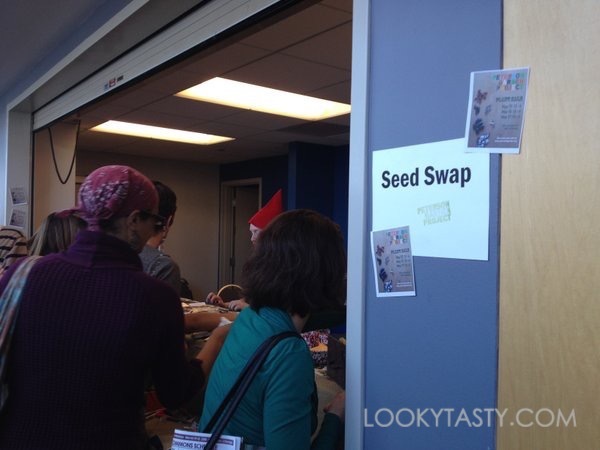 Recently, I came across the Seed Swap at the Good Food Festival. They had a selection of seeds for herbs, peppers, tomatoes, and many seasonal vegetables that are ready to be planted. I picked up a some seeds for herbs and peppers since those are a bit easier to grow in an apartment setting. The Seed Swap was presented by the Peterson Garden Project of Chicago. This non-profit organization inspires and educates people about urban gardening. They build food gardens, organize community programs and events, and offer cooking classes too. If you’re interested in growing your own food, seed swaps are great places to check out. People can offer seeds for trade and requests for seeds they would like. The shared purpose of a seed swap or seed exchange is to collect, grow, and share heirloom seeds and plants. Visit Seed Savers to learn more about seed exchanges.